Saturday January 24th at 10 a.m. to 11:15 a.m. at Wesley United Methodist Church at 3515 Helena Avenue in Nederland Texas. Come enjoy a gentle beginning yoga class with a wonderful guided relaxation. If you’ve never done yoga before and want to try it, this is the class to come out and try! Questions? Call Gail at 409.727.3177. Posted on January 9, 2009 by yogawithgaileee. 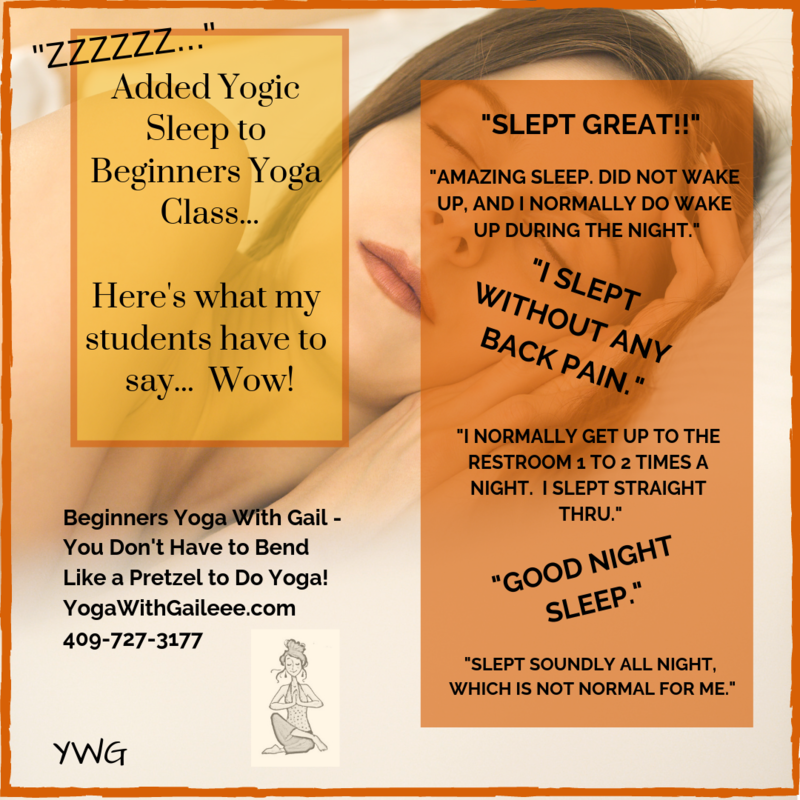 This entry was posted in Free Day of Yoga, Gentle Beginning Yoga, Nederland Tx. Bookmark the permalink.